Group 3 winner Scarlet Billows sold for A$460,000 (£384,000/€437,000) on the third day of the Melbourne Great Southern Sale at Oaklands, to top the broodmare session. Offered by John Richards of Galadi Holdings, the retired daughter of Street Boss and Hushabye Baby was purchased by Damon Gabbedy of Belmont Bloodstock for a client. The mare will be sent to Woodside Park's new shuttle stallion Cable Bay. 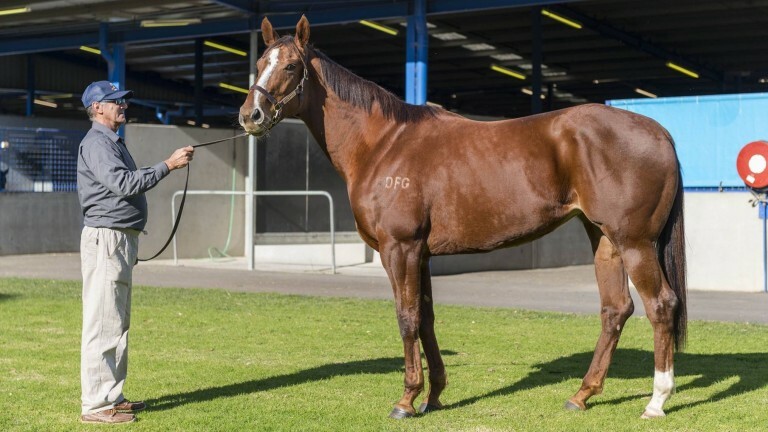 From the other lots on offer, Belmont Bloodstock paid A$270,000 (£162,000/€184,000) for dual Listed winner Golden Penny, offered by Supreme Thoroughbreds in foal to Written Tycoon. The seven-time winner Fine Mist, offered by Lang Brothers Racing, was purchased by Kirkby-Miller Holdings for A$160,000 (£96,000/€109,000), while the Encosta De Lago mare Al Afraah was bought by Sheamus Mills Bloodstock from Stonehouse Thoroughbreds for the same amount. Damon Gabbedy described Scarlet Billows as "a smart purchase". "This year's broodmare sales results told us that young Group-winning mares are very hard to find, and in Scarlet Billows I think the new owners have found a fantastic prospect," Gabbedy said. "She's a tough, sound, Group-winning mare which really ticks all the boxes." The fourth and final day of the Melbourne Great Southern Sale begins on Wednesday at 11am local time.